The Silverline Nitrile Coated Kevlar Gloves are constructed from a lightweight but incredibly tough Kevlar and polycotton knitted shell, with rough-textured nitrile coating on the palms for increased protection and good grip. 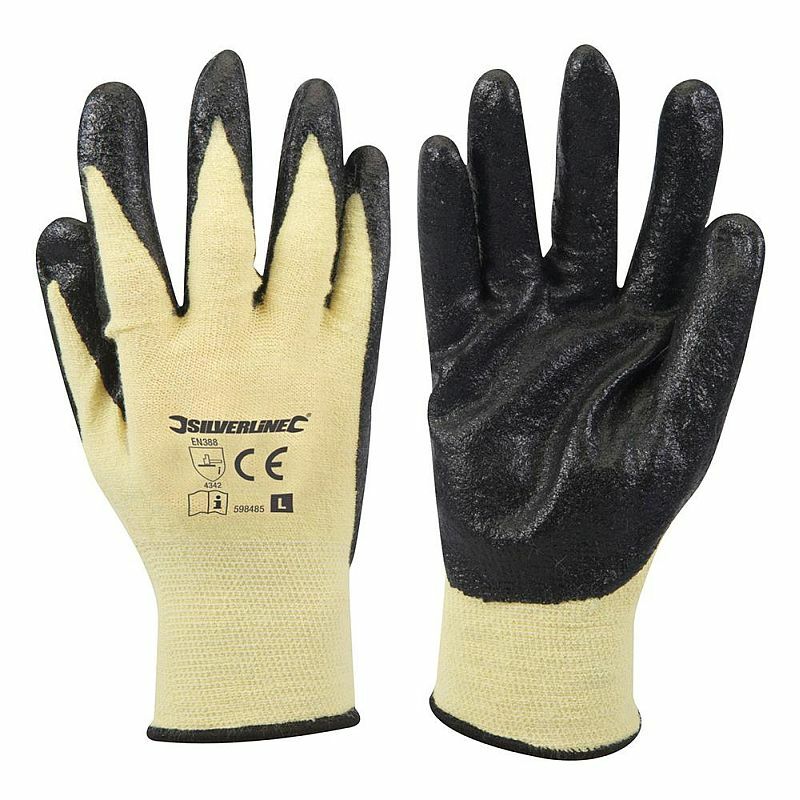 Offering excellent resistance to abrasion, cut and tear, these gloves are ideal for a wide range of general handling tasks. The Silverline Kevlar Gloves feature a nitrile coating on the palms that offers excellent resistance to abrasion, cut and tear for greater protection and increased longevity. This coating has been given a rough, sand-textured finish to enhance gripping ability. The Silverline Kevlar Gloves are available in one universal size only. Due to the stretchy nature of the knitted shell, this size should be suitable for most users.